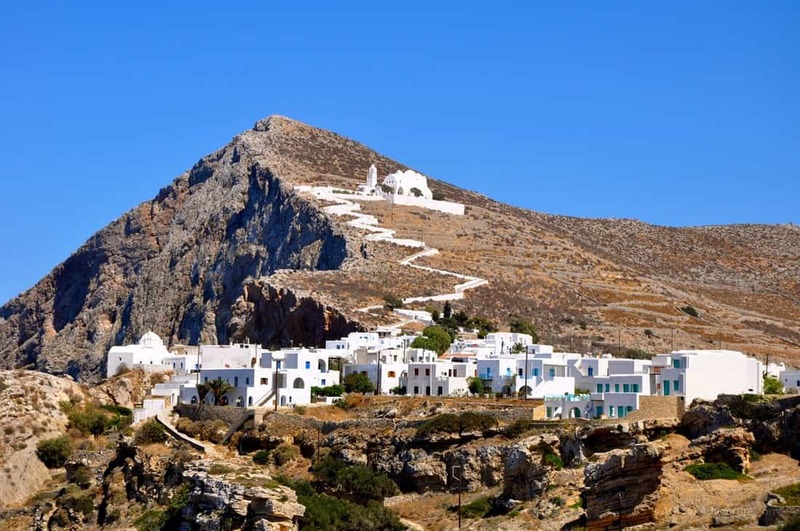 Folegandros has 3 little towns, Karavostasi (the dockyard), the Chora, Ano Meria and Agali Beach that are interconnected by paved roads. What attracts attention immediately is the endless series of “dry-placed” walls that have basically been well-known over the hundred of years by the people to establish porches on the warm gradients of the location to be able to raise grains. At Folegandros the church of Panaghia, on the top of a hill, makes use of a really good walk and a superb viewpoint of the Chora and of the west coast. The place of the Kastro, a little bastille made by the Venetians in 1210, a little village into the Chora town, will take you back to the Middle Ages. The town of Ano Merià is expanded over cultivated fields and “dry-placed” walls and has typical “kafeneio” and clubs. It has similarly a Folkloristic Museum, open from 10 to 18. Chora, has an unique “center” of 3 squares straight, with woods under which to indulge in a drink or meal in a tranquil, romantic environment. In the moderate breeze going through the little streets you may feel the scent of lime trees or of the local (amazing) bread. Bougainvillea and hibiscus color the little wood terraces around the Kastro which has its roots to XIII century. 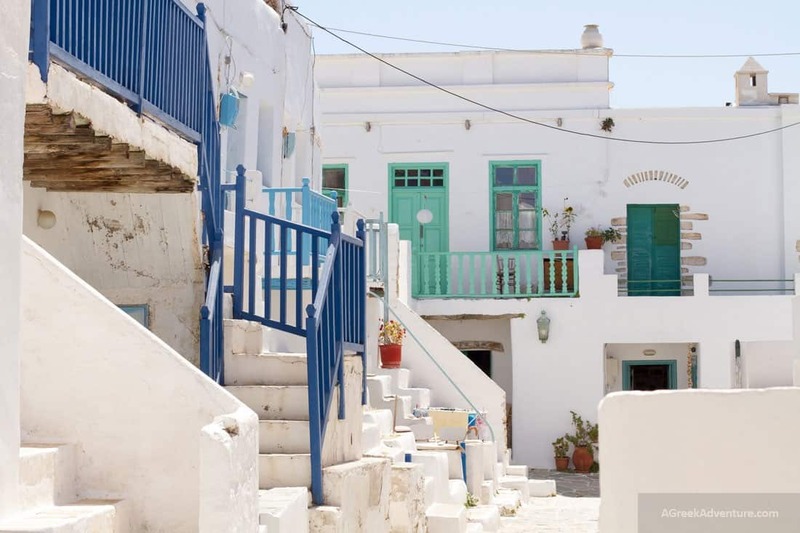 Folegandros is a small island, has in fact wound up being sophisticated, however it is still an unparalleled sample of genuine Greece. Therefore the simple and serene environment that rules all around the island drives many to call it as the “Island of Peace”. Karavostasi is Folegandros island harbor, similarly with a few shops and dining facilities hosts today countless accommodations and a few of the best of them. 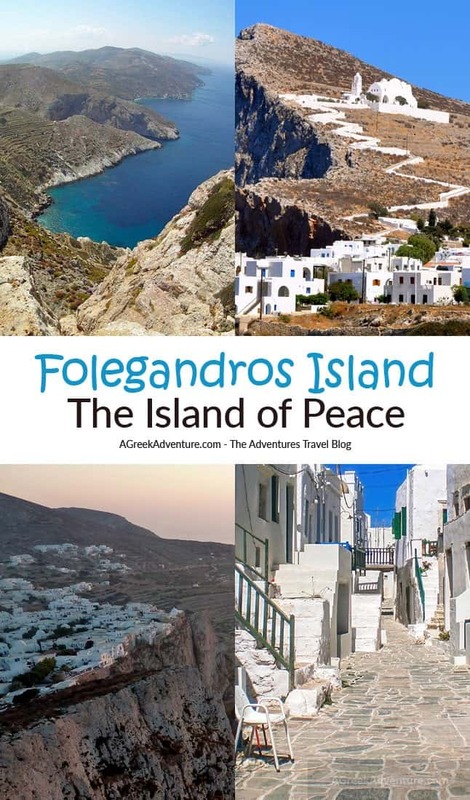 Are there any activities in Folegandros? Is Folegandros for many days? There are 2 beaches (!) that you can reach by car. There are more but difficult to reach with means other than a boat or through hiking. The easy to reach ones are: Karavostasi and Angali, so most will go there. Agios Georgios beach is a secluded one and nudism friendly, while Ambeli is rather secluded and also (like Agios Georgios) not organized. 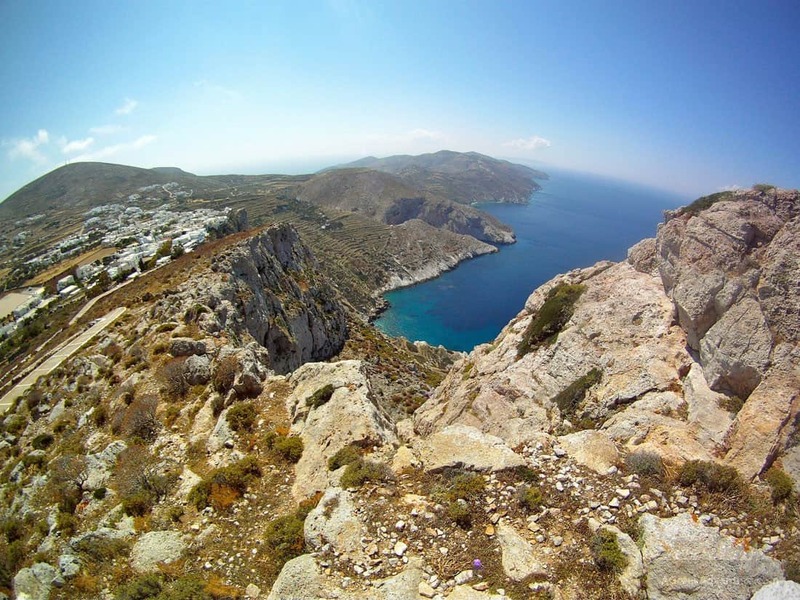 If you mean other than the hiking ones to get to some beaches, maybe you need to check for scuba diving in Folegandros. See this post. Well we would say that is for the kind of vacations that relate to the tourist who wants to be “left alone” or secluded. It is one of those rare Cycladic islands cases who still remain relatively unspoiled. Better go with Booking.com in this case. 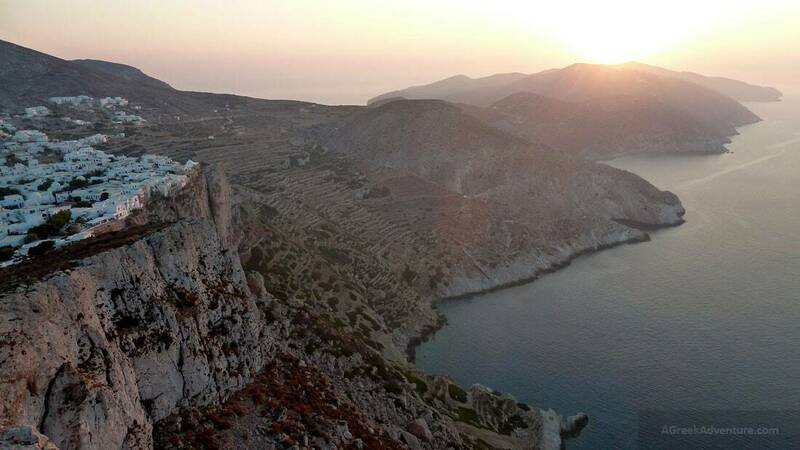 Click here to see Folegandros Hotels or check our Travel Resources page for more Accommodation options. Kindly pin this in order for others to find this post. Credits: Bethany Ciullo, Kostas Limitsios, Adrian Curt Dannemann, MihiScholl, Carolina Georgatou, Navin Rajagopalan.